For even better comfort and protection from ground moisture and insects. 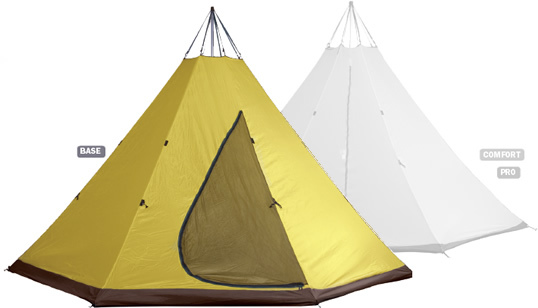 Tentipi Inner-tents are available in three grades - Base, Comfort and Pro. Any grade of Inner-tent can be used with any of our tent models size 5, 7 and 9. Gives protection against condensation which is especially important for Nordic tipis made of lightweight material. Condensation caused by ground dampness is eliminated because the floor covers the entire ground area of the tent. Heat is distributed more evenly when retained by double tent fabrics. More reliable protection against ants, mosquitoes and other insects. Gives cosy comfort and protects you from ground dampness; dirt and snow can be more easily kept away. Ultra-light, impregnated with teflon, and ripstop reinforced fabric. Breathes out condensation but also prevents condensation from the tent from coming in. Made of high-tenacity polyamide. Golden yellow. The walls are made of a carefully chosen, simpler standardtype material. 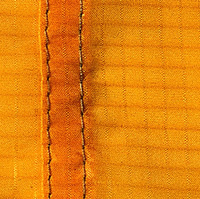 Curved zip; sewn-in floor without any zips. Is put up together with the Nordic tipi or can be easily detached by using the reliable quick fastenings. Closable insect net over the smoke opening; fits tight around the central pole. Three fresh air intakes are built into the inner-tent (Pro and Comfort; Base lacks these features). Together with the mosquito-net fitted door, these provide good ventilation on warm sunny days when the mosquitoes are in action. Reduce the risk of damaging the net when using a stove or open fire. For even better comfort and protection from ground moisture and insects. Tentipi Inner-tents are available in three grades - Base, Comfort and Pro. 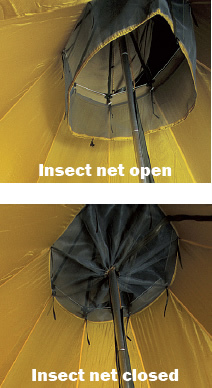 Any grade of Inner-tent can be used with any of our tent models size 5, 7 and 9.Before putting up the inner tent, undo the regulating tube from the fabric, allowing it to hang freely.Buy Tentipi in the USA and Canada at http://mansfieldoutdoors.comAuthorized North American distributor of Tentipi Adventure Products. Explore and buy from our full range of heated tents and outdoor camping gear like stainless steel tent stoves, inner tents, tent porches, tent floors, drying rails and more. Click the button below to add the Inner-tent 5 (Base) to your wish list.